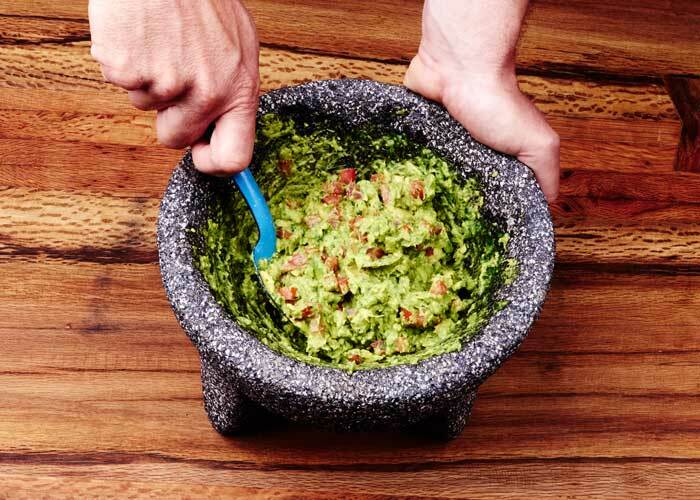 Guacamole can be prepared in two ways: with a bowl and fork or in the molcajete, a Mexican mortar and pestle. 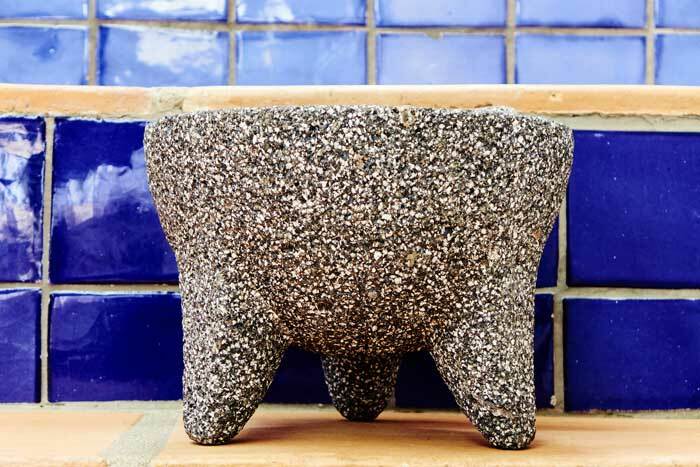 Making it in the molcajete gets the most incredible results. Let us show you both methods of preparation. Fresh ingredients make the dish. 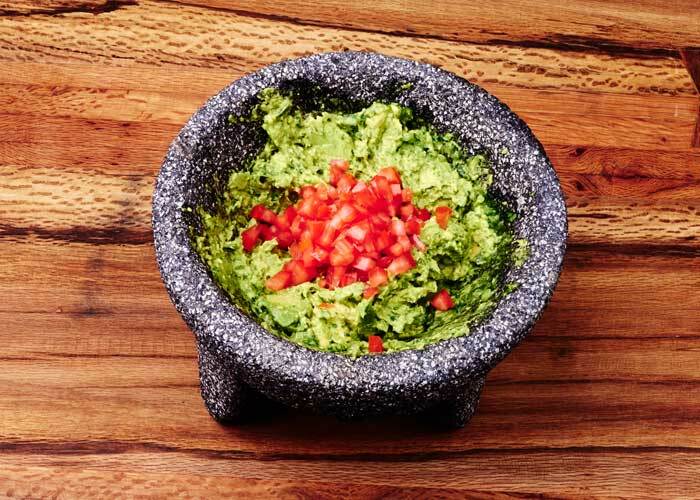 Guacamole just requires a few ingredients: avocado, onion, tomato, chile serrano, and cilantro. Because it is an uncooked dish, what you choose to make it with really counts. Unripe or poor quality ingredients have nowhere to hide. And, please, please, please don’t add those guacamole seasoning packets. They have no place in a properly made guac. When you are choosing avocados, you want ones that are ripe but not overly mushy. To tell if an avocado is ripe, use your thumb and gently push on the top where the stem connects. This is the narrower end of the avocado. The flesh should give a little. If it doesn’t give a little, it isn’t ripe enough. If it gives too easily, it is too ripe and won’t make a good guacamole but it will make a great salsa in the blender. Don’t throw out mushy avocados. Avocados large pits which need to be removed. 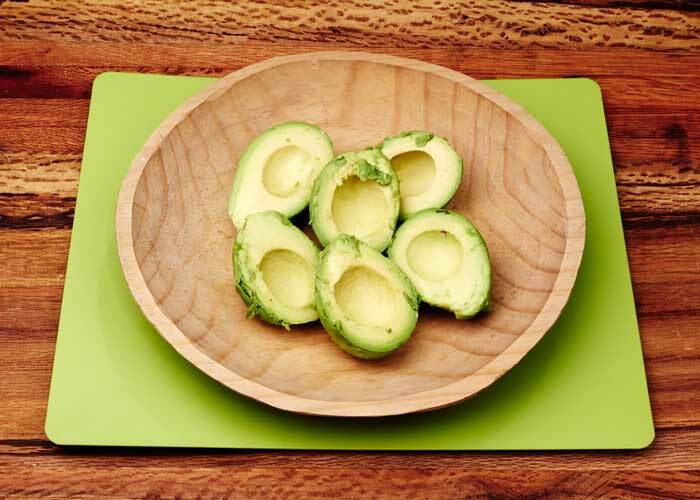 The most common method for removing the pit is to use a kitchen knife cut all the way around the avocado lengthwise then twist the two halves of the avocado until one side pops off. Then holding the side of the avocado with pit in the palm of your hand with the pit facing up hit the pit with with the sharp side of the knife blade to embed the knife in the pit. Twist the knive sideways and the pit will pop out. A word of warning: Avocado injuries that send people to the emergency room are common. Use a great deal of caution when removing the pit to avoid cutting your hand. 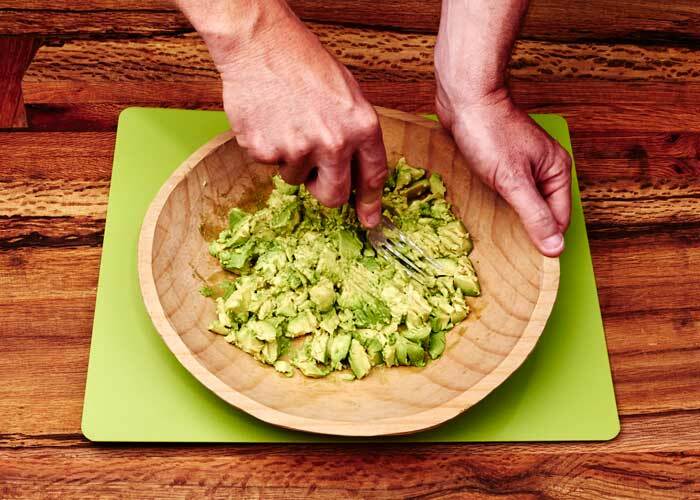 Should you add lime to your guacamole? I say no. I side with the great Diana Kennedy who says you should never add lime to your guacamole because it spoils the delicate balance of flavors. Can you add lime? Of course. I would recommend that you add lime sparingly to gently give the flavor an acidic boost. You want to enhance the flavor not overpower it. 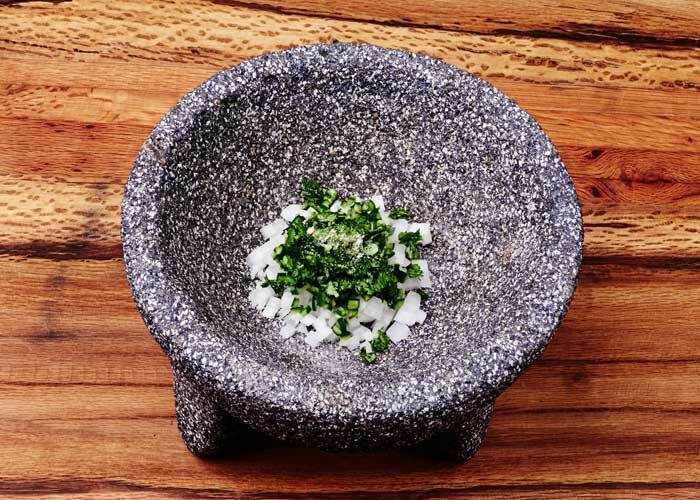 Add the onion, serrano chile, cilantro, and salt to the molcajete and grind until you have a uniform paste. The paste takes on a beautiful dark green color from the cilantro. 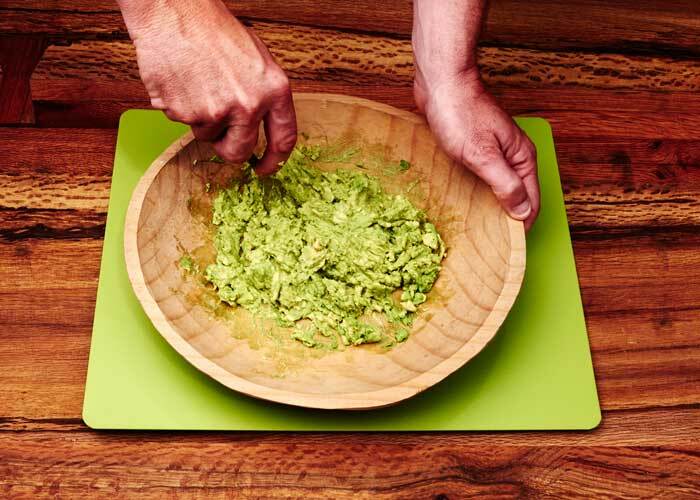 Grinding the ingredients releases the volatile oil of the vegetables and more evenly disperses the flavors throughout the guacamole. 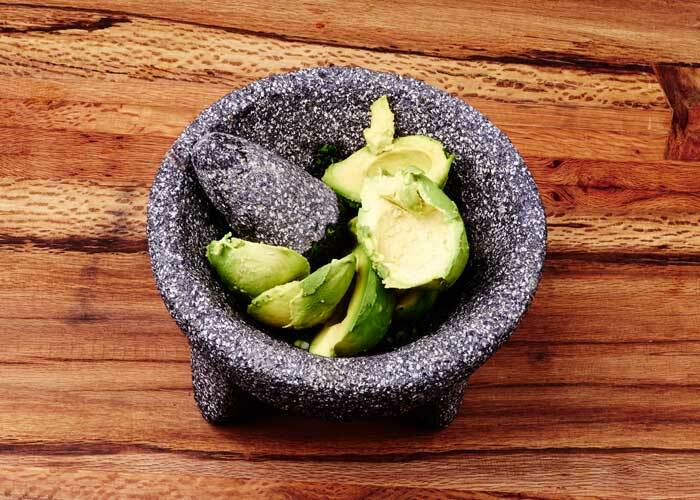 Here is the classic way to prepare basic guacamole if you don’t have a molcajete. You just need a large bowl and a sturdy fork. The avocados are mashed instead of ground. 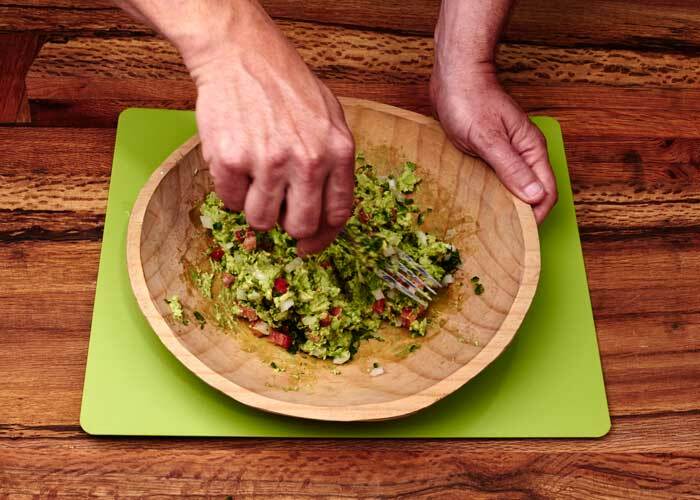 Serve guacamole with homemade corn tortilla chips. Guacamole tacos are a thing. To make, spread a couple of spoonfuls on a warm corn tortilla fold and eat. It is a great side dish for carne asada. It is enjoyed throughout Mexico and for that matter the world. 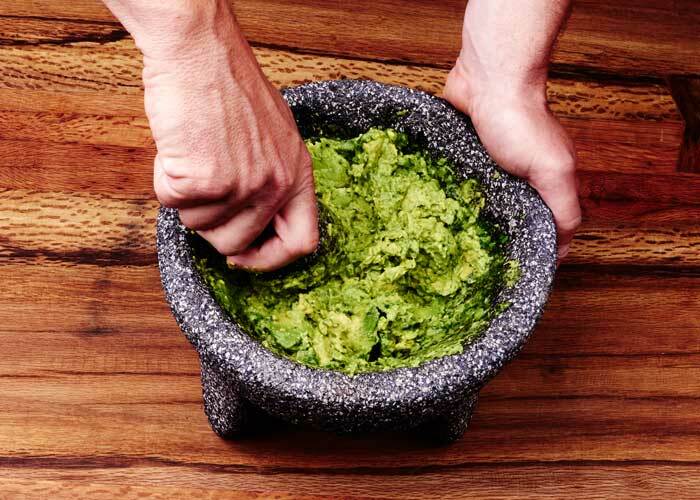 How to make guacamole. 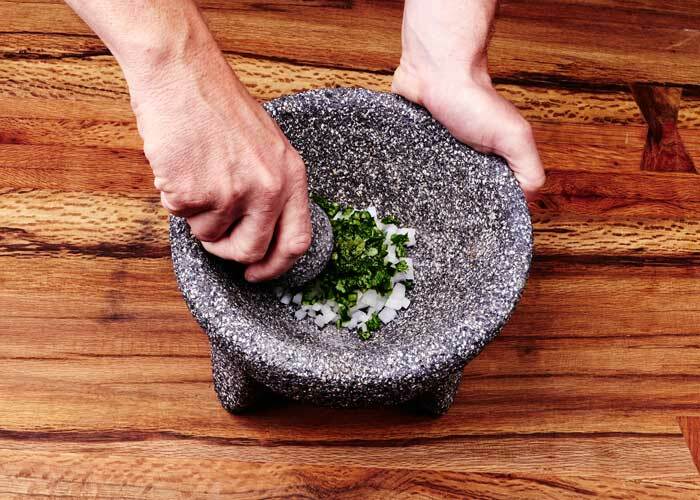 2 methods of preparation: the best-known method, prepared with a bowl and fork or made in the molcajete, a Mexican mortar and pestle. Both methods have the authentic Mexican taste. Remove the flesh of the avocados. Mash the avocados with the back of a fork. Add the other ingredients and incorporate evenly. 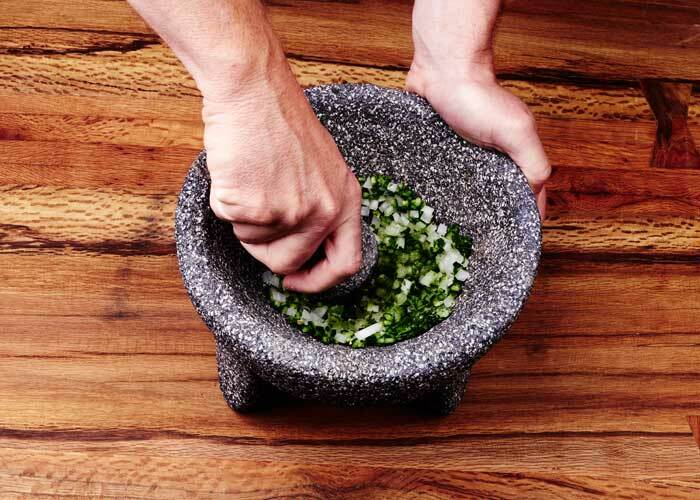 Add the chopped onion, serrano chile, cilantro and salt to the molcajete. Grind until you have a smooth paste. Add the avocados to the molcajete and grind until slightly chunky. Add the tomatoes to the molcajete and incorporate. Do not grind the tomatoes. 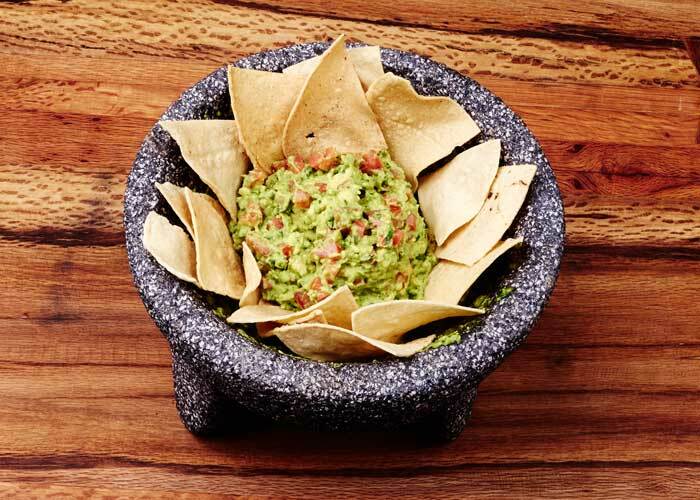 Guacamole should be served as soon as you make it. Don't make it in advance. It doesn't keep well. It turns brown very quickly. Don't chill the guacamole. It should be served at room temperature. The recipe calls for two serrano chiles which make a moderately hot guacamole. Add up to 2 more serrano chiles if you want it hotter. Leaving the seeds and veins in the chiles will make it even hotter. You can add lime juice to give it an acidic boost but add sparingly so not to overpower the flavors of the other ingredients. Welcome to Yum Goggle! I am Kelli. My daughter, Holli, and I purchased it 4 months ago redesigning the entire site and pretty much causing a completely new beginning where with started with no followers on anything social media. We have approved your guacamole submission and will be promoting it over 12 social media platforms. We are following you on all available social media and hope you will do the same. I love Mexican food so I look forward to all your submissions! My dad was born and raised in Mexico until he was in high school when his parents moved back to the U.S. He was a wonderful cook but I never thought to get his recipes – Exploring your blog will be a pleasure for me! First try was way to hot. 2nd try, I feel like a pro! My family loves it. Recipe is defanetly a keeper. 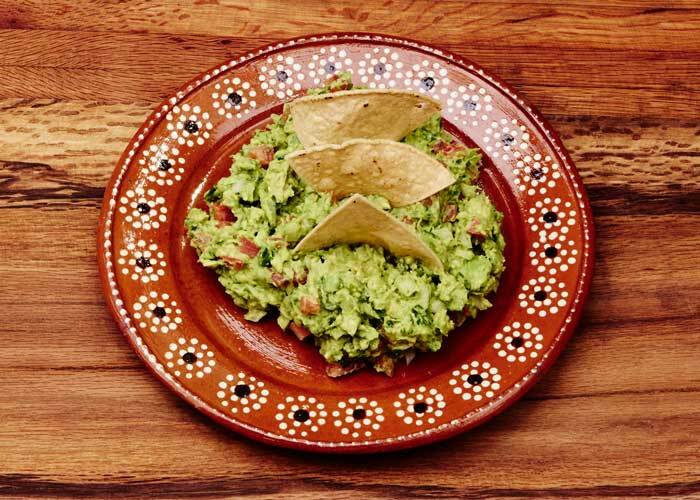 In Mexico, Guacamole isn’t typically made with cumin. I would love a printer friendly link, I love this site! By I feel it balances out flavor and tomatoes are overkill for me since there is usually salsa. I also had a bit of garlic powder. Just mho. Love the blog! Thank you for the molcajete instructions! 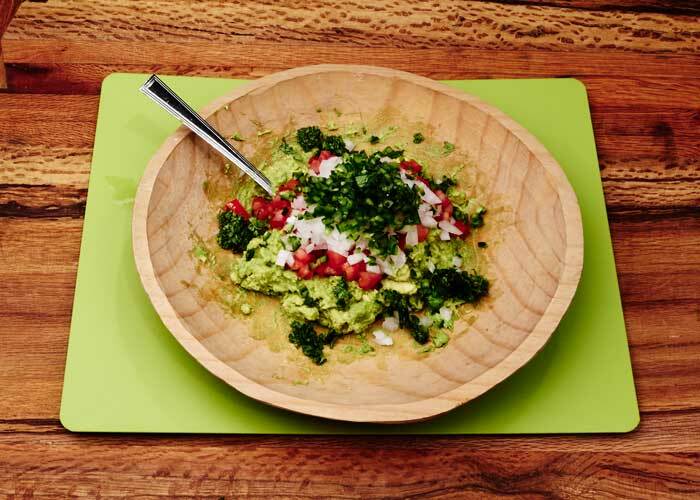 I have been trying to make guacamole at home that tastes like the good stuff I’ve had in Mexican restaurants and could never replicate the flavors…until now! 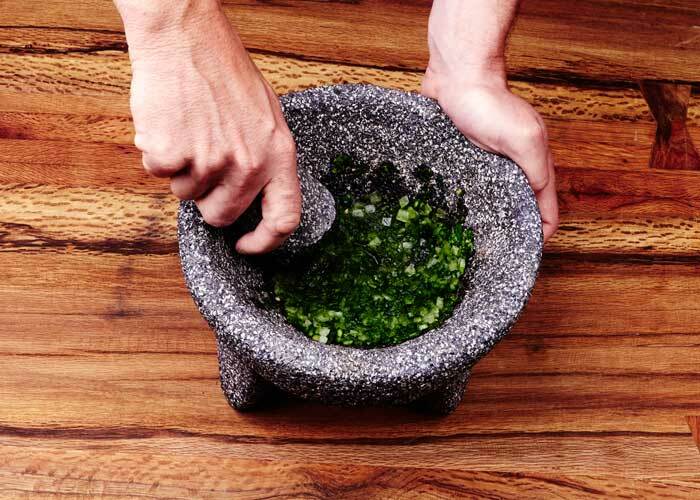 Making a paste with the molcajete made a world of difference. Best guacamole ever! I used a hand-turned wooden molcajete which I bought from the woodworker in Leona Vicario (near Puerto Morelos) two weeks ago. It has very hard ridges worked into the bottom. It worked just great.Thank you. If you don’t want to overpower more delicate flavors you should leave out the cilantro! I love this recipe. It’s unique in that it doesn’t add all those spices and/ or citrus that other recipes or store bought packets include. It really lets the avocado stand on its own, and not be covered by more powerful flavors. I live in the CA Bay Area and we have no shortage of Mexican restaurants and taquerias. This recipe is like the guacamole all those places serve. I made a double recipe for a party of 20 last weekend. An entire banquet table was full of food, but the guac was gone within 45 minutes. People really love it, and if you are also serving salsa or other powerfully flavored foods, it’s a nice mellow addition. Christine, We’re glad the guacamole was a hit at your party. 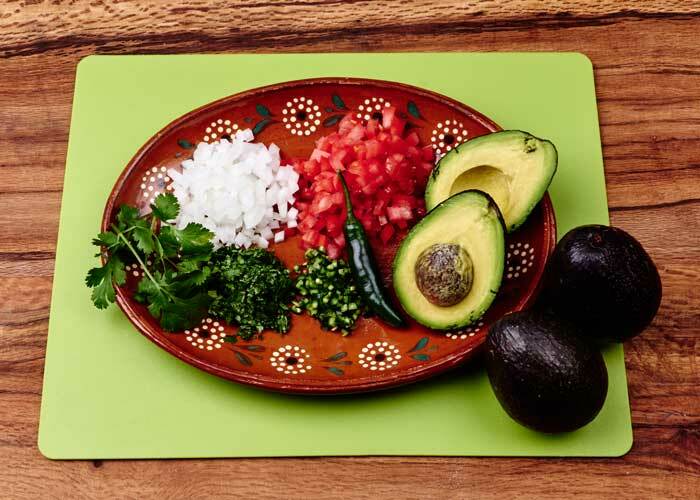 We prefer it without the addition of heavy spices or lots of lime juice so that the delicate flavor of the avocado comes through. You might want to try the Spicy Avocado Dip too https://mexicanfoodjournal.com/spicy-avocado-dip/ It’s a great recipe when you want to mix it up. Cheers!